ASUS is the world's biggest and best-known motherboard brand. Famous for user-focused Designed Thinking, we understand the importance of security, stability and easy manageability for your business. Our latest lineup of business motherboards provide enhanced features to smooth your IT operations, including comprehensive system protection, 24/7 stability and reliability, and an improved management suite for easier customization. Combined with our world-class after-sales service and guaranteed long-term availability to maximize your investment over the product lifecycle, ASUS business motherboards provide a high-quality, TCO-optimized solution for your business computing needs. 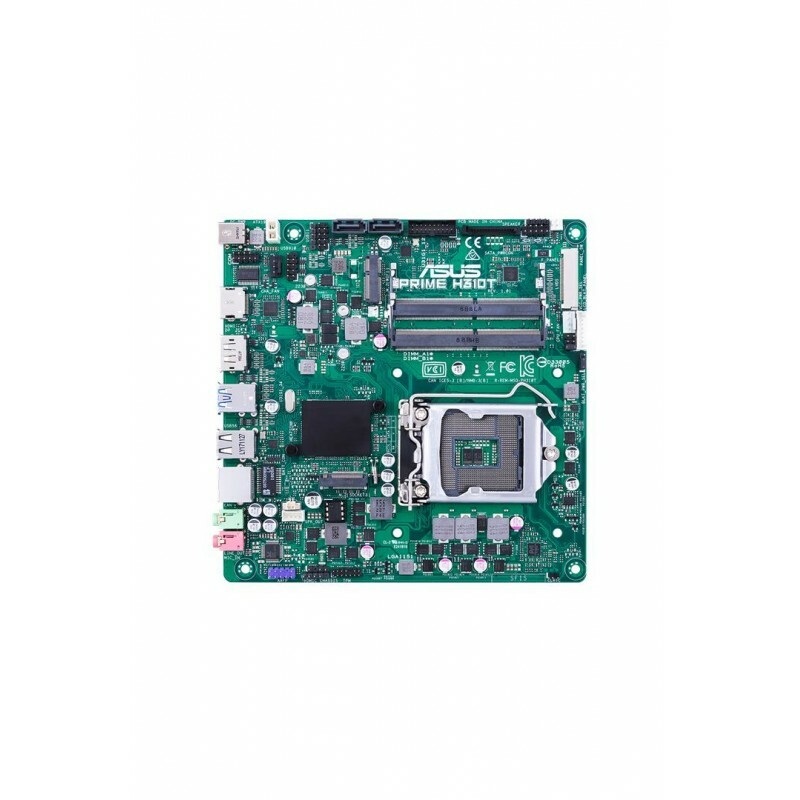 ASUS Corporate Stable Model (CSM) is a commercial program designed to provide stable and reliable motherboards. Offering up to 36-month product lifecycle support and 6-month end-of-life notice to allow sufficient lead times for your organization to get ready for product transitions. Each purchase of an ASUS CSM motherboard comes with ASUS Control Center - server-grade IT management software. ASUS business motherboards are enterprise proven with leading quality that exceeds industry standards. Certified by multiple international safety and environmental organizations, including UL and Blue Angel, ASUS business motherboards provide a safe, secure and sustainable solution, making them the ideal choice for your business. PRIME H310T onboard a TPM header for connecting to debug cards for faster, more efficient motherboard troubleshooting. When connected to an ASUS Debug Card, administrators can view error and debugging codes on the integrated LCD display, and get better idea of initialization and recovery processes. ASUS business motherboards provide a complete troubleshooting solution, making mass production faster and more cost effective. USB 3.1 Gen 1 header is box style, enabling fast connector installation and preventing pin damage. Color-coded connectors enable easy identification and cable-matching, speeding up the production line. investments in supporting hardware. chipset The Intel® H310 is a single-chipset design that supports 8th Generation Intel® Core™ LGA1151 processors. It provides improved performance by utilizing serial point-to-point links, allowing increased bandwidth and stability. Additionally, the H310 chipset provides a maximum of four USB 3.1 Gen 1 ports, four SATA 6Gbps ports, and 10Gbps M.2 and PCIe 2.0 lane-speed support, for faster data retrieval. Intel H310 also supports integrated-graphics, so you'll enjoy the very latest in graphics performance.